Always has the right accessories for his suit. 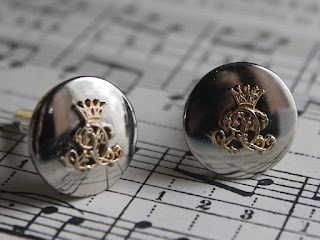 This little blog is about cufflinks. I have been making cufflinks for a few months. 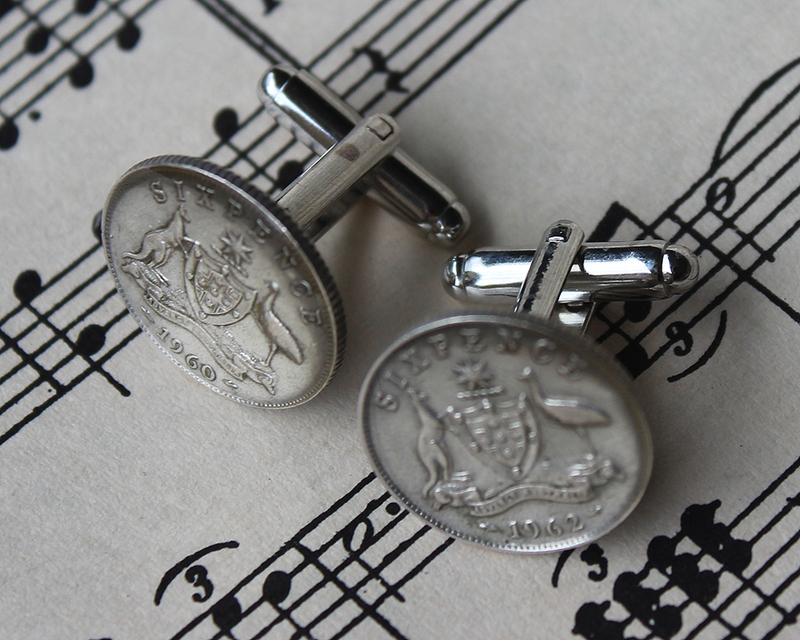 I mean really where would the well dressed gent be without cufflinks? 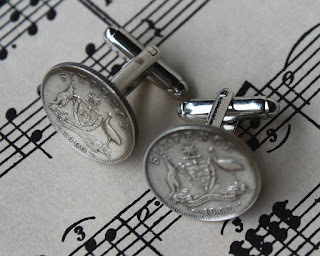 These are giving me the opportunity to recycle in a big way as I have over time collected some lovely old buttons, coins, earrings etc and they are now getting a new life as cufflinks. For me recycling is very important, too much is wasted these days. So therefor it is to be recycled into something to keep. 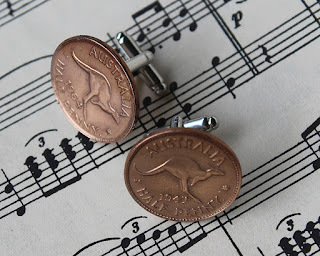 Old coins, buttons even some earrings are a great example of this thinking. Remember wind up watches and clocks. Well the inners of these are fantastic when recycled. I look everywhere for all sorts of goodies with an eye to making them into something new and useful. In the case of old buttons I am now replicating them as buttons, cufflinks, tie pins and centres for cockades. More importantly what we could buy for sixpence. I could catch a bus to the movie theatre, see a movie, buy an ice cream, have bus fare home. Half penny, today would be less than half a cent. In the time we used them you could buy a pencil or small school book. 2 would buy you a penny bag of sweets! and that was a lot. Watch bits set in resin get a special beauty, who thought the day would come when we would use them in such a way. 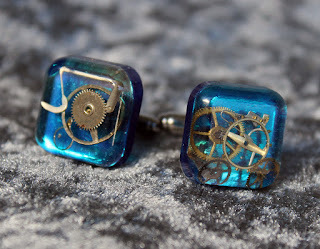 Beautiful recycled as cufflinks or tie pins. 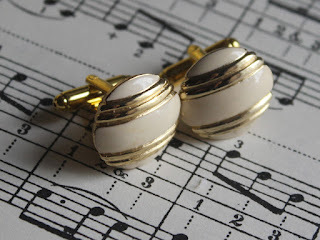 I also make them as buttons,how's that for thinking out side the box! 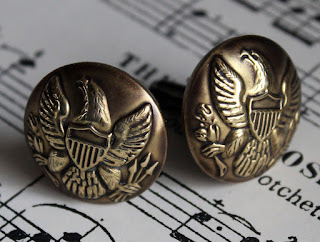 Beautiful eagles to make the steampunk outfit complete. Also available as a tie/lapel pin as well. 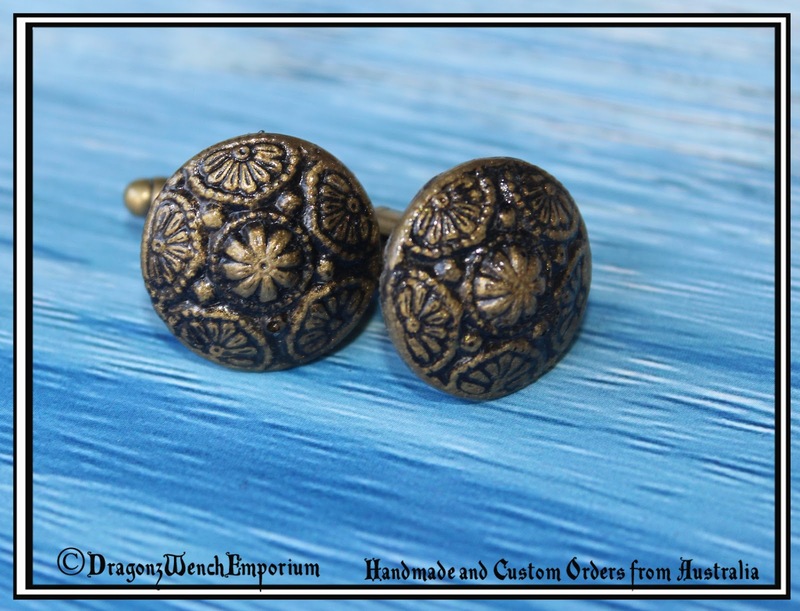 I added small cats eye cabochons as the original centres were either lost or damaged. 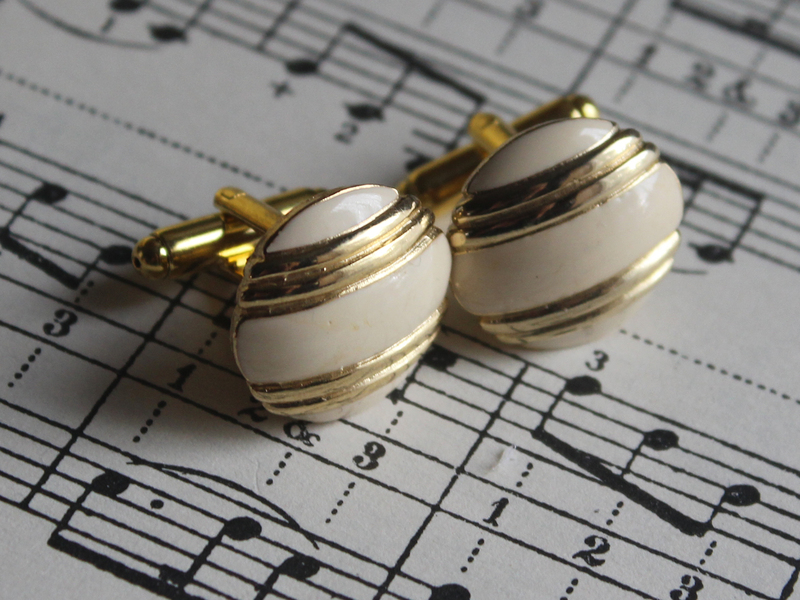 These once adorned a ladies ears as fashionable earrings. 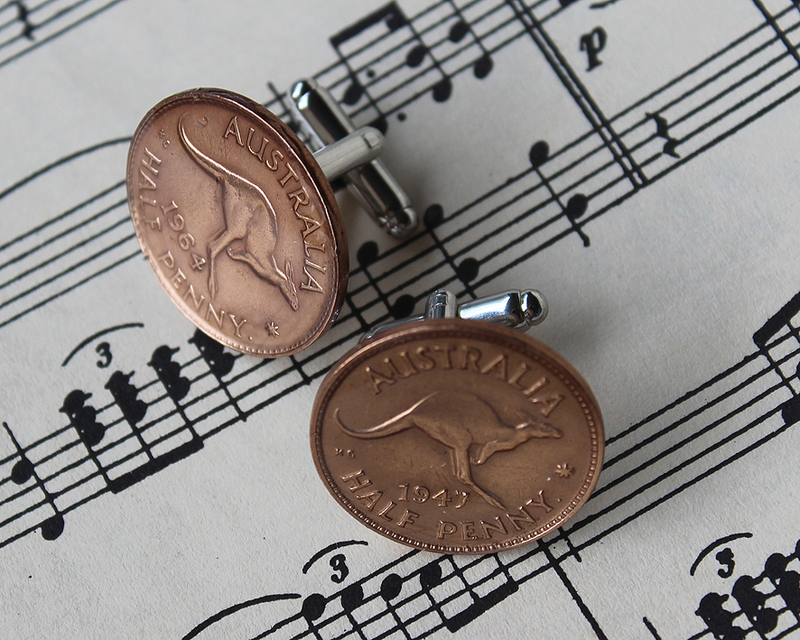 Now they can adorn a shirt cuff as cufflinks. 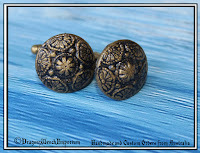 These recycled buttons are so very regal. Perfect for the business executive or an airship captain.